With today’s grazing management systems, the cost of making hay far exceeds its value to grazing businesses. Studies have shown that winter feed costs are the largest single factor limiting the profitability for most livestock operations. In virtually every area of the USA, year-around grazing - without hay - is possible. Yet many graziers are still making hay. Have you ever taken the time to figure out how much making hay costs you? Are you still making hay because you’ve always done so and can’t imagine raising livestock without it? Wouldn’t you rather spend your time monitoring pastures and moving livestock instead of making hay? Do you want to know how to Kick the Hay Habit and pump more profit into your operation? * Just how much it really costs to produce a ton of hay. * How to use nature as your guide for low-cost winter grazing. * How to conduct a pasture inventory. * How to select the optimal breeding and birthing seasons. * How to custom design your own winter forage system. * How to make the transition from hay feeding to grazing, and much more. 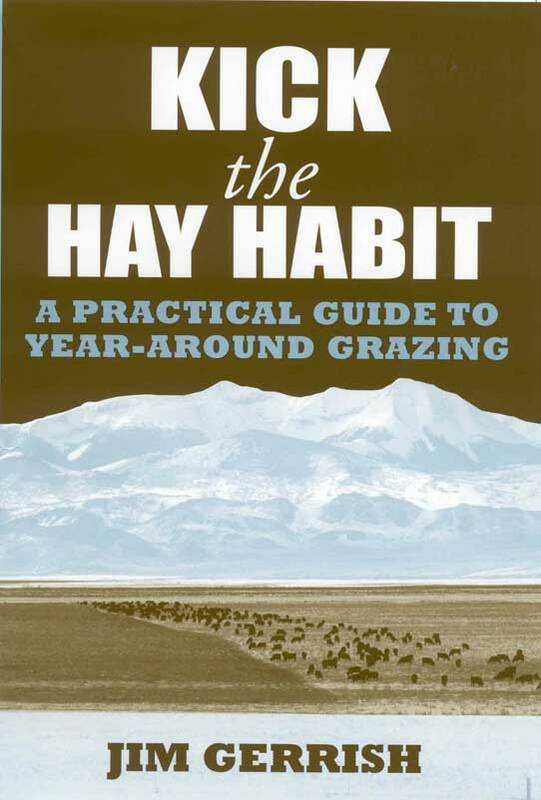 Both the beginner and the experienced grazier will benefit from Kick the Hay Habit. Gerrish shares his personal experience as a grazier in Missouri and Idaho as well as insights he gained as a researcher at the University of Missouri’s Forage Systems Research Center. As a grazing consultant he has helped farmers and ranchers throughout North and South America. He is also the author of the best selling Management-intensive Grazing, The Grassroots of Grass Farming.